In a special visit to the children of the “Little Angel House” Orphanage in Maarat Saydnaya, His Excellency Mr. Aleksander Ponomarev, Ambassador of Belarus to Damascus, distributed humanitarian aid to the children of the orphanage. This humanitarian assistance is a gift from the Belarussian government and people to the people of Syria. It was distributed to the monasteries and benevolent institutions in Saydnaya. The Belarussian ambassador visited the premises of the “Little Angel House” and met with the nuns who manage the orphanage as well as the children who reside there. 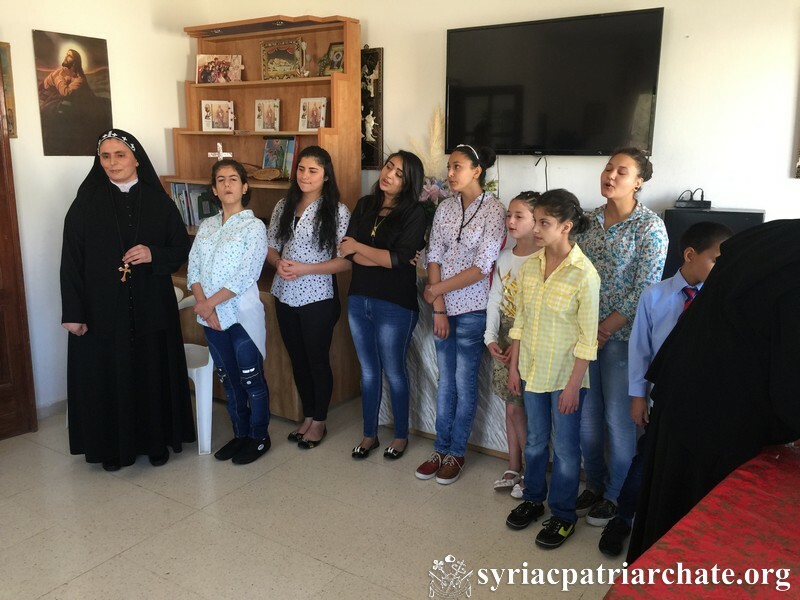 The children sang Syriac hymns and songs, welcoming their guests and thanking them for their love and care. 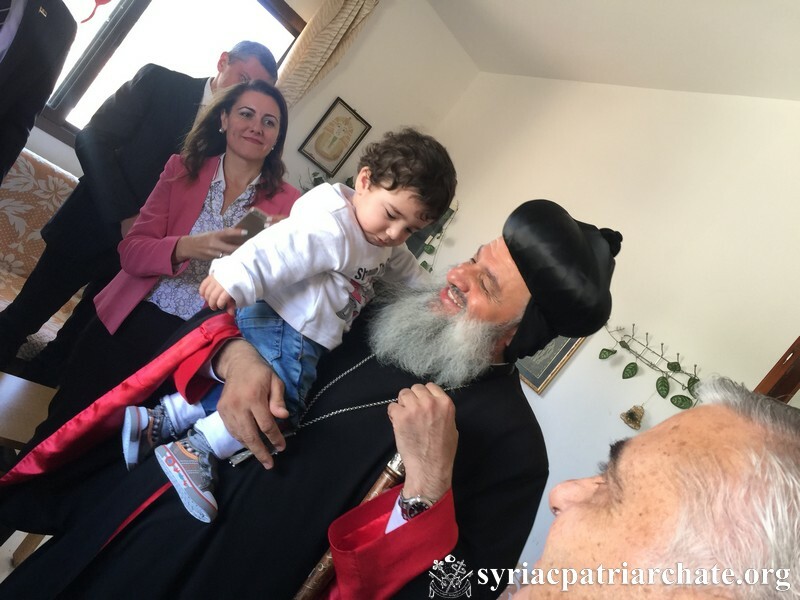 His Holiness Patriarch Mor Ignatius Aphrem II joined the event and blessed the children. He also thanked His Excellency the Belarussian ambassador for his efforts to assist in the relief of the war-torn areas in Syria. His Excellency Mr. Milan Vijatovic, Charge d’Affaires of the Serbian Embassy in Damascus, and Her Excellency Dr. Maria Saadeh, Ex-member of the Syrian Parliament, also attended this event. This entry was posted in Featured News, News and tagged Aleksander Ponomarev, His Excellency Mr, Maria Saadeh, Milan Vijatovic, Syrian Parliament by Orthodoxy Cognate PAGE. Bookmark the permalink.